Dr. Pramod Mistry, director of the Lysosomal Disease Center and National Gaucher Disease Treatment Center at the Yale School of Medicine. Contributed photo. 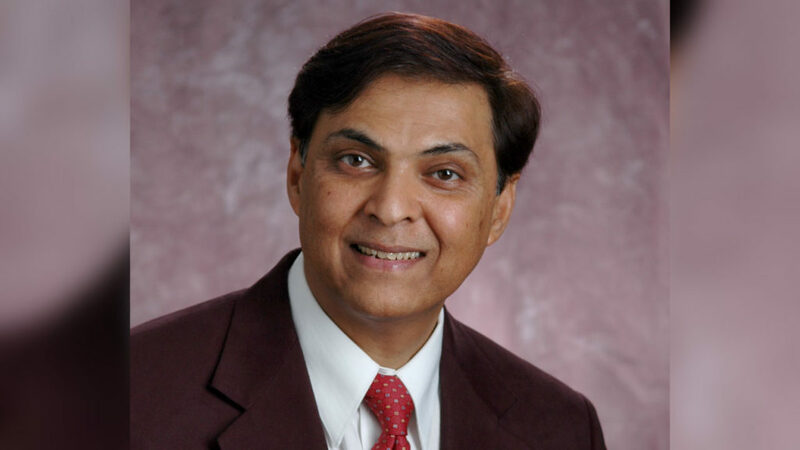 Dr. Pramod Mistry, director of the Lysosomal Disease Center and National Gaucher Disease Treatment Center at the Yale School of Medicine, will deliver the keynote address at the Frank H. Netter MD School of Medicine at Quinnipiac University’s observance of “Rare Disease Day.” The event will take place from 1-4 p.m. on Monday, Feb. 27, at the Center for Medicine, Nursing and Health Sciences at Quinnipiac, 370 Bassett Road. Pramod, who is a professor of medicine and of pediatrics and professor of cellular and molecular physiology at the Yale School of Medicine, will discuss “Gaucher Disease: Transformative Therapeutic Breakthroughs in Rare Disease, Expanding Opportunities for Novel Therapies of Common Diseases.” Gaucher disease, also known as glucocerebrosidase deficiency, occurs when the lipid, glucosylceramide, accumulates in the bone marrow, lungs, spleen, liver and sometimes the brain. Patients with Gaucher disease have a hereditary deficiency of glucocerebrosidase, an enzyme that helps the body process glucosylceramide. In addition to Pramod’s lecture, Marsha Lanes, a representative from the National Organization for Rare Disorders, will moderate a panel discussion featuring patients with immune thrombocytopenic purpura (ITP), X-linked hypophosphatemia (XLH), cystinosis, osteogenesis imperfecta (OI) and adrenoleukodystrophy (ALD). The Frank H. Netter MD School of Medicine also will present an award to Lucas Kolasa, an artist who paints people with rare diseases, for increasing awareness and bringing humanity to individuals with rare diseases though his creative expression of art. Kolasa’s exhibit, “Beyond the Diagnosis,” which was recently featured on “Sunday Morning” on CBS, will be on display during the program. The main objective of Rare Disease Day is to raise awareness amongst the general public and decision makers about rare diseases and their impact on patients’ lives. The campaign targets primarily the general public and also seeks to raise awareness amongst policy makers, public authorities, industry representatives, researchers, health professionals and anyone who has a genuine interest in rare diseases. This event is free and open to the public. For more information, call 203-582-8652.